The oppressed and exploited have risen up time and time again in U.S. history. But each of these mass movements — such as the militant labor movement of the 1930s and ’40s, the Black liberation struggle, or the movement against the war in Vietnam — was severely stunted, and eventually derailed, by the fact that they remained subordinated to the twin parties of the bosses. A political alternative, a party truly representing the working class majority, was missing. We are facing the same situation today. Obama and the Democrats have been swept into power promising “change,” but far from being socialist — as the increasingly unhinged and isolated right-wing claims — the Obama administration has been the most consistent defender of the bankers and the war profiteers. Obama explained to a roomful of bankers at the White House that he is “the only thing [standing] between you and the pitchforks” of a fed-up populace, according to Washington D.C.-based publication Politico. Particularly in today’s situation of economic free-fall, layoffs, and cutbacks, the continued subordination of the trade unions and social justice organizations to the Democrats is political suicide. To move forward workers’ struggles today and tomorrow, there is an urgent need for a break with the Democrats. A new party is needed to express and fight for the needs of all working people and the oppressed, to break their subordination to the twin-parties of the bosses, and to pose the perspective of a government of and for working people. For Trotsky, the fight for a Labor Party was the concrete expression of how to implement The Transitional Program for Socialist Revolution, the founding program of the Fourth International, in the United States. This monumental text was — and remains — an insightful guide to action to help bridge the gap between the ripe socio-economic conditions for socialist revolution and the absence of the mass revolutionary parties needed to enable the oppressed to overcome all the obstacles in their path toward the conquest of power. 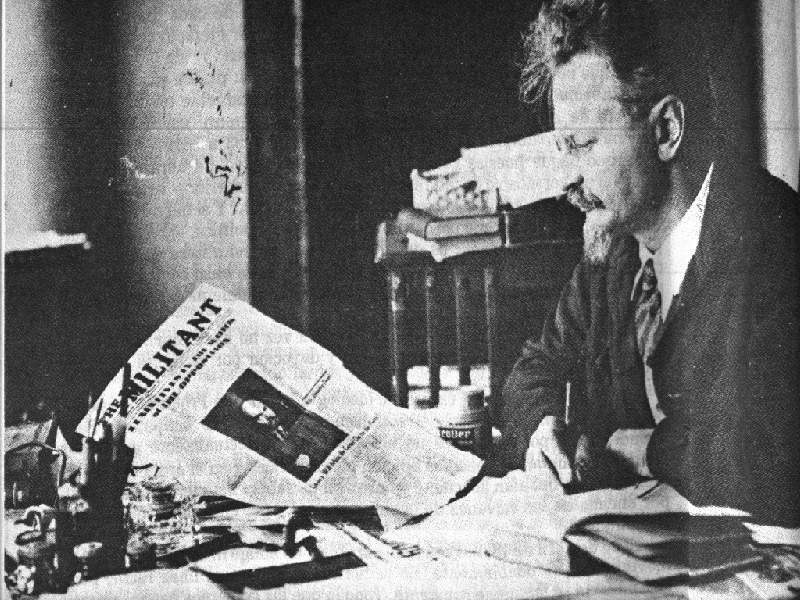 In this article we will analyze Trotsky´s arguments and their relevance for today. Of course, there is no need to blindly accept Trotsky´s analysis. For Socialist Organizer and the Fourth International, there are no “infallible leaders” or “sacred texts.” Marxism is not a dogma. So why discuss Trotsky´s perspectives on the Labor Party question? First of all, in a situation marked by bipartisan complicity in the corporate bailouts, the propping up of the banks and institutions responsible for the crisis, the slashing of public services, the attacks on immigrants, and the occupation of Iraq and Afghanistan, the need for independent working class politics has become a burning necessity because the U.S. working class and its organizations remain subordinated to the parties of the bosses. Any discussion of how to change this situation should be welcome by all fighters for social justice. Second, in light of the fact that almost every other organization in the United States that raises the banner of Marxism has abandoned the fight for a Labor Party, it is necessary to re-establish the facts concerning the perspective of Trotsky — as well as Engels and Lenin — on this crucial question. 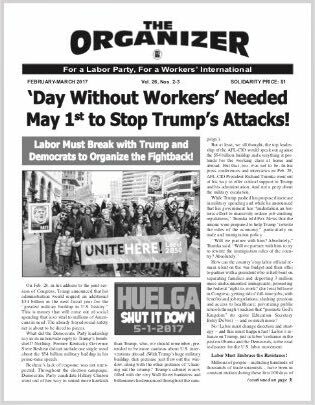 Socialist Organizer is proud to uphold the continuity of revolutionary politics in the United States — and we believe our position on the Labor Party question illustrates the profound political differences between our organization and the many groups that talk about socialism, but lack a strategic orientation to achieve this goal. We repeat: There is no need to dogmatically accept Trotsky’s arguments or their current relevance. But, as we will demonstrate in part two of this article, the basic conditions that in 1938 created the necessity for a Labor Party continue to exist today and Trotsky´s arguments remain an indispensable guide to action for revolutionaries in this country — and beyond. In the late 1920s, the Marxists (“Trotskyists”) in the United States, organized in the Communist League of America after being expelled by the Stalinist Communist Party, abandoned the fight for a Labor Party. Later in this article we will discuss the theoretical roots of this mistake. In 1929, the stock market collapsed. By the early 1930s, a deep mobilization and radicalization of the American working class had erupted, resulting in the creation of the Congress of Industrial Unions (CIO) — the first true federation of mass industrial unions in U.S history. In this new situation, Trotsky in 1938 proposed to his American co-thinkers, organized in the Socialist Workers Party, to change their position and plunge head-first into the fight for a mass independent Labor Party. An intense debate shook the SWP. Let´s take a look at Trotsky´s arguments. Without independent organizations, workers are only material for exploitation. The working class transforms itself from a class in itself (an object of exploitation) into a class for itself (a conscious agent in the struggle for its independent class interests) only through building class organizations — principally trade unions and, on a higher level, political parties. This process takes different forms in different countries. Trotsky´s case for advocating and fighting for a Labor Party stems from the particularities of the development the U.S. labor movement. “In Austria and in Russia especially the workers’ movement began as a political movement, as a party movement. … In such countries as Germany, Austria, and especially Russia, where trade unions were unknown, they were initiated, constructed, and guided by a political party, the Social Democracy. The decline in British capitalism — which Trotsky classifies as “the beginning of the decay of the capitalist system” — forced the unions to move to political action. This was necessary to move the struggle to a more advanced stage because only this form of struggle could break the subordination of the trade unions to capitalist parties, project and unite nationally the various local economic struggles, and direct the focus of the workers to the central question of state power. “In the United States we can say that the characteristic features of English development are presented in even more concentrated form, in a shorter period, because the whole history of the United States is shorter. Practically, the development of the trade unions in the United States began after the Civil War, but these trade unions were very backward even compared with the trade unions of Great Britain. .. It is only during the last two or three years that the genuine trade unions developed in the United States. This new movement is the CIO. The decline of U.S. capitalism — an expression of the terminal crisis of the world capitalist system after the constitution of the world market at the beginning of the 20th century — obliged the U.S. working class to construct mass industrial unions. In England, trade unions were formed in a period of ascending capitalism, of rising prosperity, and for decades could manage to wrest concessions from the bosses. American industrial trade unions, however, were formed in the period of the final stage of capitalism, the decay and decline of imperialism, a period in which the capitalists could no longer afford to buy off a significant privileged sector of the workers. “In the United States the situation is that the working class needs a party — its own party. It is the first step in its political education. … It is an objective fact in the sense that the new trade unions created by the workers came to an impasse — a blind alley — and the only way out for workers already organized in trade unions is to join their forces in order to influence legislation, to influence the class struggle. So what kind of workers´ party could immediately, in 1938, express the political will of the working class and its trade unions? Trotsky´s response was simple. The ideal situation would have been for the SWP, the U.S. section of the Fourth International, to be influential enough to directly become the mass party of the American working class — as the Bolshevik Party had become in Russia in 1912-14 and definitively in 1917. But, unfortunately, the SWP was still too small to immediately play this role. “The Socialist Workers Party, section of the Fourth International, clearly realizes the fact that by virtue of unfavorable historical reasons its own development lagged behind the radicalization of wide layers of the American proletariat; and precisely because of this, the problem of creating a labor party is placed upon the order of the day through the whole course of development. In Minneapolis we cannot say to the trade unions, ´You should adhere to the Socialist Workers Party.´ It would be a joke even in Minneapolis. [The SWP was most influential in Minneapolis, in large part due to its heroic leadership in the historic 1934 Teamster strikes — Editors Note]. Why? Because the decline of capitalism develops ten, a hundred times faster than does our party. It is a new discrepancy. The necessity of a political party for the workers is given by the objective conditions, but our party is too small, with too little authority to organize the workers into its own ranks. That is why we must say to the workers, the masses, you must have a party. But we cannot say immediately to these masses, you must join our party. The crisis of U.S. capitalism created an urgent need for an independent working class political expression, but the relatively small SWP — a party of around 1,000 members at the time — could not immediately become this instrument. Therefore, a transitional form of organization — which act as “bridge” towards the construction of the revolutionary party — was a burning necessity. “Why did we declare during the past period that we were not willing to fight for this slogan of the labor party? The explanation is very simple. … Some of us, and myself among them, imagined that the ability of American capitalism to resist against the destructive inner contradictions would be greater and that for a certain period American capitalism might use the decline of European capital to cover a period of prosperity before its own decline. How long a period? Ten to thirty years one could say? The Development of a Labor Party in the U.S. But hadn´t all the mass workers parties in Europe degenerated into class-collaborationist obstacles? Wouldn´t the same occur with a Labor Party in the United States? For Trotsky, a key factor able to push for a positive development of the Labor Party movement would be the direct intervention of revolutionary Marxists. Moreover, the specifics of the American situation made it unlikely that a Labor Party would follow a similar course to its European predecessors. In Europe, the vast majority of mass workers´ parties were founded in the 1880s, 1890s and early 1900s — that is, in the epoch of progressive, ascending capitalism. In this period, the capitalist system was prosperous enough to grant reforms, accept the existence of independent workers parties, and buy off a privileged sector of the working class, the “labor aristocracy.” In this period of growing prosperity, the mass workers´ parties degenerated. By 1938, the situation in the United States and the world was qualitatively different. Capitalism had entered its final stage, a period of imperialist decline and decay. The capitalists could no longer buy off a significant “labor aristocracy,” nor could they even accept the existence of independent workers´ organizations. In order to destroy these organizations, fascism and corporatism rose throughout the world. In other words, the fight for a true mass Labor Party would come up against the resistance of the reactionary labor bureaucracy, joined at the hip to the Democratic Party. The fight for independent workers´ politics would be a crucial wedge to win the ranks away from their misleaders. To oppose the fight for a Labor Party because of the theoretical possibility that it could become an obstacle, would be like opposing a strike because the union leaders could eventually betray it. In other words, even in times of relative stability, revolutionary Marxists should not limit themselves to propagandizing for a Labor Party, but should try to organize “concrete examples of success” of independent workers´ politics. How then should revolutionaries work within a Labor Party movement? What should be their methods, slogans, and goals? For Trotsky, the fight for a Labor Party was, above all, a means to solve the crisis of revolutionary leadership — that is, to build a revolutionary Marxist party capable of leading the working masses and all the oppressed to power. In order to win over the ranks of the LNPL and promote an effective movement towards the Labor Party, it was necessary, argued Trotsky, to utilize the contradiction between the stated aims of the organization and the intentions of their leaders. Trotsky explains that revolutionaries should always look for ways to direct the masses to the central question of state power. The most advanced, “crowning” transitional demand would be for the formation of workers´ government of the Labor Party. In this movement, by expressing the needs and desires of working people and demonstrating in practice that it was the most consistent fighter for the interests of the oppressed, the revolutionary party could place itself in a position to win over the majority of the working class and, possibly, the Labor Party itself. 1) In conditions of the decline of capitalism, the trade unions must turn to political action — or be crushed. 2) The revolutionary party is too small to immediately become the mass political expression of the U.S. working class. Therefore, a transitional form of organization, a Labor Party, is needed. 3) A Labor Party in the United States would not necessarily become a class-collaborationist obstacle because (a) it would be born in the epoch of the decay of capitalism, unlike its European counter-parts, and because (b) the intervention of revolutionary Marxists could shape its development positively. 4) In conditions of the decline of capitalism, Marxists should fight for a Labor Party even if a mass movement for one doesn´t yet exist. 5) Inside a Labor Party movement, Marxists should support the progressive developments, criticize the reactionary ones, and, based on the existing consciousness of working people, propose the adoption of transitional slogans, with the goal of building the revolutionary party and leading the workers to the conquest of state power. Let´s now discuss the relevancy of each of these five points to the United States at the beginning of the 21st Century. Trotsky´s perspective on the labor party question was based on an understanding that capitalism had entered its final stage, its “death agony.” So the first question we must ask ourselves is whether we still live in the period of the decline and decay of the world capitalist system. As always, we must base our analysis on the facts. In the United States, living conditions for the majority have declined since 1973. A massive wave of de-industrialization in the United STates and in the world began in the 1980s and continues today. The economy is based more on more on financial speculation and what real production does take place goes increasingly to the arms economy. The speculative “house of cards” finally collapsed in the financial meltdown of the economy in 2008 — and there are no indications that the economy will recover in the foreseeable future. These are expressions of the fact that, ever since the saturation of the world market at the beginning of the 20th century, the capitalist system based on the private ownership of the means of production can no longer develop the productive forces. The massively destructive World Wars were expressions of this fact. Indeed, the 30-year post-WWII economic boom — the “exception that proves the rule” — would never have been possible had it not been for the virtually complete destruction of Europe from 1939 to 1945. The United States is not immune to the terminal crisis of capitalism. Imperialism, in its desperate search for profits is obliged first of all to attack the workers and oppressed of “its own country” in order to lower labor costs. This can be clearly seen through the deepening offensive against the trade unions and democratic rights underway today. Especially now with the financial meltdown, the capitalists no longer have the economic cushion to give crumbs to the workers. The very existence of trade unions is an obstacle to their profit needs. In this context, the policy of “labor-capital partnerships” — which had a certain economic base in the post WWII boom — promoted currently by the leadership of the trade-union movement is putting into question the very existence of organized labor. Can anybody deny this? Politics is the concentration and expression of economic struggle. The opportunist labor leaders´ suicidal support for the Democratic Party is an expression of their class-collaborationist policies in the workplace. Millions of dollars are given by the labor movement to the Democratic Party every election — to elect politicians who support the militarization of the border, “free trade” agreements, and the occupation of Iraq! Isn´t it clear that labor´s decline will continue as long as it remains chained to the Democratic Party and its policies? In order to survive, the trade unions — those affiliated to both the AFL-CIO and Change to Win — must immediately break with the Democrats. This would be a crucial step in a united fight-back in the workplaces and on the political arena against layoffs, corporate bailouts, budget cuts, the occupation of Iraq and Afghanistan, ethnic cleansing in Louisiana and in cities throughout the country, the attacks on democratic rights, immigrant rights, and womens´ rights, and for single-payer health care and a living wage. The creation of a fighting Labor Party — not just to run candidates, but to lead mass struggles in workplaces and communities across the country — would radically alter the whole national political situation. Apathy inevitably reigns among working people when no real alternatives are offered. The creation of Labor Party would be a harbinger of hope and a tremendous point of leverage for united mobilizations around the demands of all the oppressed. In 1938, Trotsky’s case for a transitional form of organization was demonstrably true in relation to a revolutionary organization, the SWP, which had over 1,000 members and considerable influence in the labor movement. After the implosion of the SWP in the early 1980s and the subsequent splintering of the American Trotskyist movement, it would be sheer lunacy to claim that any existing revolutionary Marxist organization could immediately, today, become the mass political expression of the American working class and its trade unions. But the crisis of the labor movement is such that the trade unions need to break with the Democrats immediately. 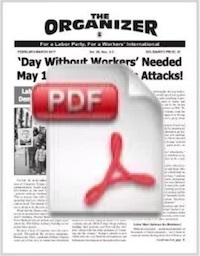 As Trotsky wrote in 1938, “Any revolutionary organization occupying a negative or neutrally expectant position in relation to this progressive [Labor Party] movement will doom itself to isolation and sectarian degeneration.” Far from being an obstacle to the building of the revolutionary party, the fight for a Labor Party is a necessary means towards building one. But does this transitional form of organization necessarily have to be a Labor Party? Unlike in 1938, many activists and organizations on the left today argue that a Green Party, a cross-class party “of the social movements” and “civil society” is needed. History shows that cross-class “Third Party” formations — far from being steps towards building a labor party or a revolutionary party — are major obstacles toward independent working class politics. In 1924, a mass labor party movement was diverted into the populist electoral campaign of Robert Lafollette, which in turn was dissolved into the parties of the bosses. This phenomenon was later repeated in the late 1940s with the Progressive Party of Henry Wallace. More recently, this process took place with the Green Party, which attracted around it many honest activists and progressive unions (many of whom had supported the Labor Party founded in 1996), but which capitulated to the Democrats in the 2004 elections by adopting a “lesser evil” orientation. These formations inevitably dissolve back into the capitalist parties because they lack a class analysis and a working class base. They criticize the Democratic Party for being “too far to the right” but fail to condemn it as a party of the bosses. Therefore, the moment that the Democrats make a gesture to the left, they jump run back into their arms to defeat “the greater evil” of the Republicans. These formations are made up of “all progressive sectors of society” and therefore refuse to call on the working class to mobilize independently as a class. They fail to base themselves on the only social force capable of providing a political alternative to the capitalists: the workers — Black, white, and immigrant; men and women; young and old — and their trade unions, in alliance with all the oppressed. The ruling class and its lackeys are going on an ideological offensive against the concept of class because the capitalists today, in their desperate search to lower labor costs, are attempting to destroy all independent organization of the workers, particularly the trade unions. The fight for independent labor politics, for a Labor Party, cuts across the massive ideological and material offensive against the working class and the oppressed. This fight is integrally linked to the battle to preserve the existence of the trade unions and to turn them into effective instruments to defend workers’ interests and conquests. The formation of a mass Labor Party in today´s explosive situation would inevitably produce a deep crisis for the ruling class. The whole structure of capitalist rule in the U.S. currently rests on the two-party system. The capitalists can not even accept the existence of independent trade unions today — imagine their reaction to the creation of a working class party challenging them for political power! Let us not forget: A central task of the reactionary labor bureaucracy is to do everything possible to prevent the formation of Labor Party. Such a party will be have to be formed against the will of the labor misleaders and the Democratic Party. This radicalizing dynamic will mark it from birth. That said, the deepening capitalist offensive against the very existence of the trade unions also means that wings of the reformist bureaucracy could be obliged, in order to survive, to take partial steps towards independent politics. There is a possibility that a Labor Party could eventually degenerate and become a future obstacle for the workers — just as there is a possibility that strikes can be betrayed or that revolutions can degenerate. But it is undeniable that, at the very least, a mass Labor Party would necessarily be a tool of and expression of a deepening working class radicalization and mobilization that would profoundly shake up the whole political situation. In this process of the awakening of the sleeping giant of the American working class, a revolutionary organization with a correct orientation to the Labor Party could quickly grow in size and influence. What will be the political development of the Labor Party? What will be the exact relationship between the Labor Party and the independent self-organization of Black, Latinos, and other oppressed peoples? Will the Labor Party eventually split? Will the revolutionaries win the leadership of the Labor Party? Obviously, it is impossible to answer these questions today. But in any case, it is clear that Marxists must build and participate in this movement. The history of the U.S. working class shows that it is highly unlikely that a revolutionary party, a U.S. section of the Fourth International, can win over the majority of workers and their allies prior to the creation of a national Labor Party and outside and independent of its evolution. We in Socialist Organizer do not think that a Labor Party is a panacea. We, too, mobilize to transform the unions into fighting instruments and we agree that a Labor Party must be the expression of a revitalized, fighting trade union movement. But there are various reasons why it makes sense to begin fighting for a Labor Party today. First of all, and most fundamentally, the political independence of the workers and their organizations is an objective necessity and, sooner or later, workers will wake up to this fact. The role of Marxists must be to aid this process advance. Second, fightbacks on the economic arena and the political arena are two sides of the same movement. Victories for independent workers´ politics on the political/electoral stage would build class consciousness and the workers´ confidence in their own strength, in this way aiding the revitalization of the trade union movement. To say, “Let´s just concentrate right now on transforming the trade unions” means, in practice, accepting the subordination of the trade unions to the Democrats. Third, it is only possible to measure the actual consciousness of the masses if the Labor Party slogan is put on the agenda. The apparent apathy of the workers, in the words of Trotsky, “is characteristic of a certain period when there is no program, when they don’t see the new road… It is absolutely necessary to give a new slogan.” History shows that apathy can quickly disappear if a credible mass alternative is presented. Fourth, a central feature of the U.S. labor movement is its explosive character, as the spontaneous mobilizations for immigrants´ rights in the Spring of 2006 have again demonstrated. This means that the upcoming mass radicalization of the workers and oppressed will most likely take us all by surprise. In this context, we should begin now to lay the political and organizational bases for this radicalization to be able to express itself politically. Seeing as we are still in the initial stages of the movement for a Labor Party, our discussion of this point will focus on Trotsky´s advice on how to fight for the creation of a Labor Party. Trotsky argued that in order to promote an effective movement towards the Labor Party and win over the ranks of contradictory formations like the Labor Non-Partisan League, it was necessary participate in these formations and play upon and utilize the contradiction between the stated aims of the organization and the intentions of their leaders. But, later, Cannon and the SWP leadership would break with this method, arguing that any involvement with this effort would only help the Stalinist misleaders in their drive to derail the fight for independent politics. This effort had to be denounced and exposed from outside, the SWP leaders contended. This same approach is what would frame many years later many radical organizations´ approach to Labor Party Advocates (1991) and the Labor Party (1996). This was not a real movement for a Labor Party, they argued. This was a “rump Labor Party.” While the Labor Party formed by OCAW leader Tony Mazzocchi has ceased to exist for all practical purposes since its founding in 1996, the same question Trotsky brought up with the SWP leaders in 1938 still holds true: Was it better to attempt to build the Labor Party from inside this process — seeking to get the LP to launch its own candidates against the Democrats, seeking to push it step by step on an independent course — or was it better to sit back and denounce the process from the outside? We in Socialist Organizer answered: One had to fight for the Labor Party from inside this process. While Socialist Organizer was not a large political formation and was not able to prevent the degeneration of the Labor Party, we played a very important role in this movement. Much of the work done by the Labor Party helped pave the way for the formation of U.S. Labor Against the War (USLAW). And Socialist Organizer’s ability to play a central role in USLAW was aided by all the work we carried out to build the Labor Party. Socialist Organizer and its supporters helped to pass a resolution for running candidates at the 1998 LP convention. S.O. and its supporters helped to put together an “electoral caucus” with Baldemar Velasquez and other respected labor activists; and SO members were at the origin of the LP-endorsed Robin David for MUD (public power) campaign in 2001 in San Francisco. These are just a few of the steps forward taken by the LP at our initiative. What we accomplished could have been magnified a thousand fold by a party truly rooted in the trade union movement and with cadre poised to challenge the misleaders of the Labor Party. The demise of the SWP in the late 1970s, in that sense, became an objective barrier to the development of what has been the most promising formation toward a Labor Party in the last 50 years. The struggle for a Labor Party remains the principal means today for U.S. workers and their oppressed allies to break free of the stranglehold of the capitalist parties and move forwards on the road toward the creation of a workers’ government. Socialist Organizer, the U.S. section of the Fourth International, has set itself self the goal of helping develop and deepen this movement. Only through doing so can we begin to solve the crisis of revolutionary leadership in the United States. We invite you to be part of this historic struggle. [i] Engels, Frederick. “Preface to the American Edition: The Condition of the Working Class in England.” January 1887. Progress Publishers. [ii] Trotsky, Leon. “The Problem of the Labor Party.” April 1938. The Transitional Program for Socialist Revolution. Pathfinder Press. [iii] Trotsky, Leon. “U.S. and European Labor Movements: A Comparison.” May 31, 1938. The Transitional Program for Socialist Revolution. Pathfinder Press. [v] Trotsky, Leon. “Three Possibilities With a Labor Party.” July 23, 1938. The Transitional Program for Socialist Revolution. Pathfinder Press. [viii] Trotsky, Leon. “How to Fight for a Labor Party in the U.S.” March 21, 1938. The Transitional Program for Socialist Revolution. Pathfinder Press. [xvii] Trotsky, Leon. “First Discussion on the Labor Party.” July 20, 1938. Oeuvres. [xxv] Trotsky, Leon. “Problems of the SWP”, October 5, 1938. Oeuvres. [xxxi] Trotsky, Leon. “Discussion with a CIO Organizer.” Oeuvres.